Last week, when I made my Lasagna Roll Ups, I had a tough time deciding what sides to go with them. A salad is classic, but I also needed something with more substance. 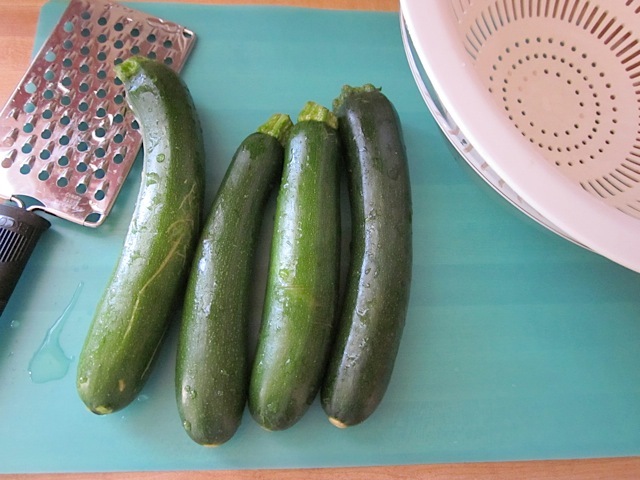 I definitely wanted a vegetable so I looked at my little sticky-note full of “want to cook” items and saw Zucchini Fritters – BINGO. 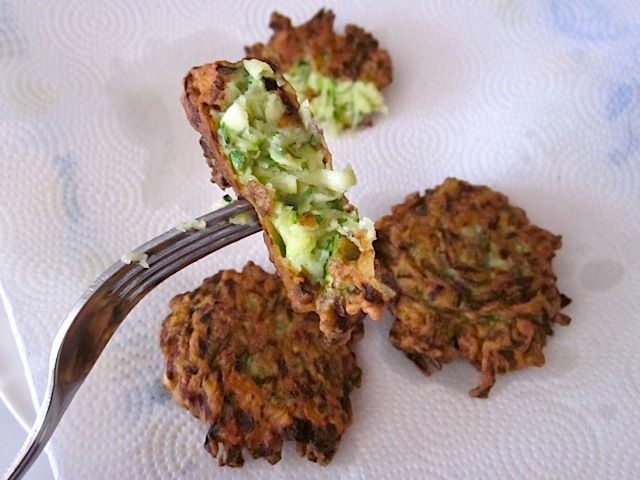 After looking at countless recipes for zucchini fritters, I noticed that many of them had Greek or Mediterranean style seasonings. Since I was going with an Italian theme, I just changed up the herbs to fit. 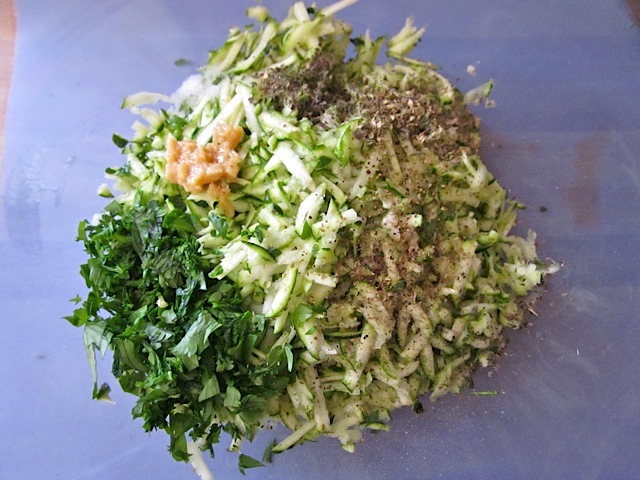 The rest of the recipe is almost always the same: shredded zucchini, flour and egg (as binders). 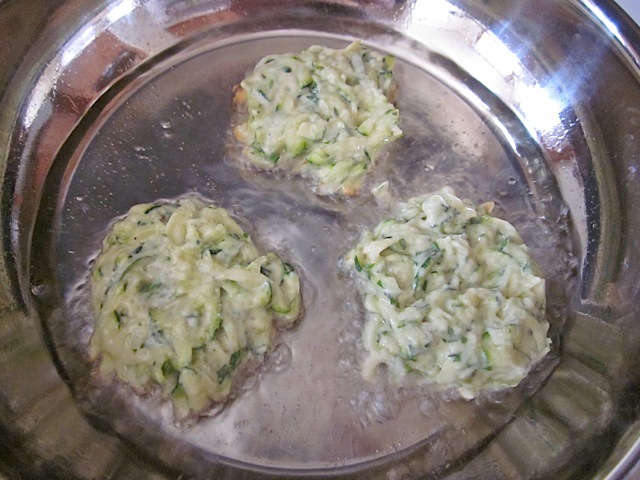 My fritters were free form but if you prefer something more stiff that you can actually shape into a patty, just add more flour. 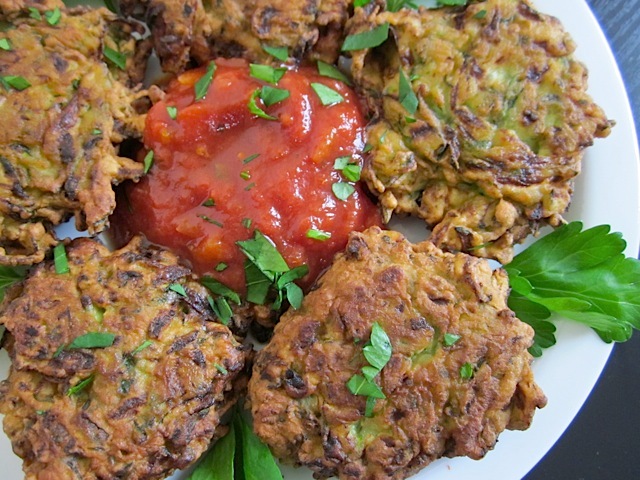 I served my fritters with homemade marinara to dip in but they are certainly delicious by themselves as well. Since they’re fried, they will only be crispy on the first day. I’ve been eating the left overs all week and despite being soft and mushy (especially after reheating in the microwave), they were still very flavorful and satisfying. If the first side isn’t quite as dark as you’d like, you can just flip ’em over again and cook until they’re dark enough. 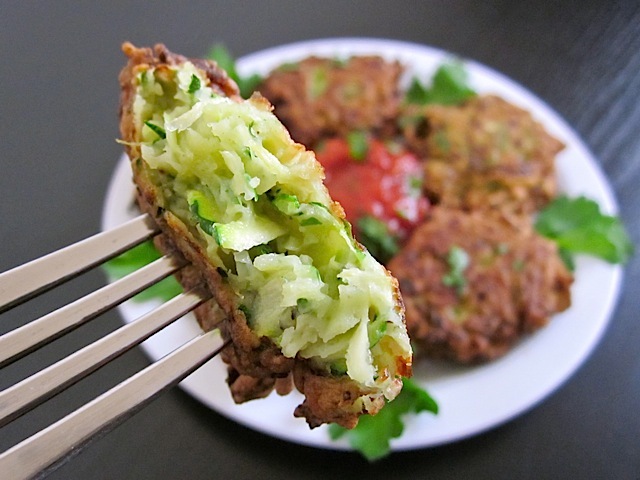 I love fritters! 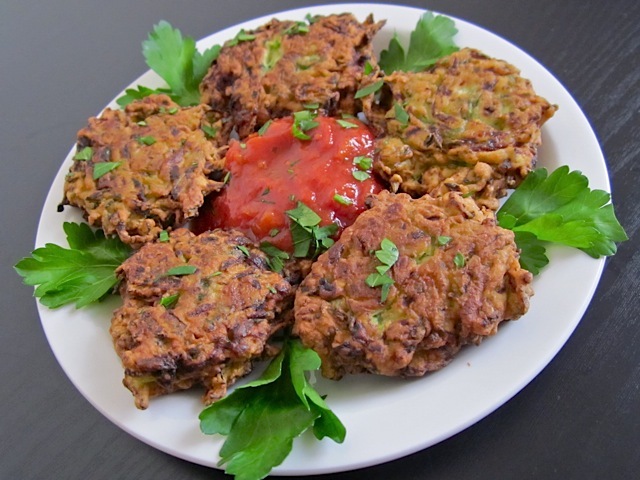 I make ones likes these with feta and mint. Really yummy. Finally made these & they were wonderful. Even my kids liked them. These were fantastic! Thanks for the recipe. I ate them with a little bit of ranch dressing, since I’m not a fan of marinara sauce, and the ranch added a nice touch of extra flavour. Oooh I love these. So good! 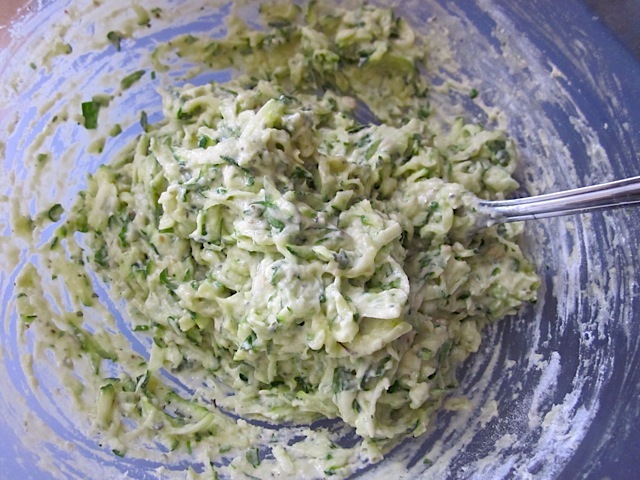 I make mine with some ricotta and it turns out some creamy and delicious! Oh and serve with a lemon. A squeeze of lemon make these heavenly! For the egg – do you think I could use egg replacer? woooww!!! i wish i was a good cook! il still try making these though! they look deliciouusss! mouth watering!!! Thanks for the link, Danita! I was going to say the same thing, you just have to not be afraid to use oil and heat it up good. 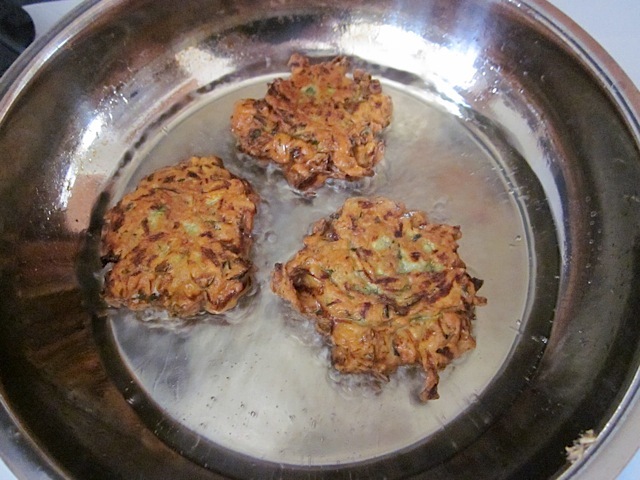 Since I was giving the fritters a “shallow fry”, I knew I’d be using a lot of oil and sticking wouldn’t be a problem. If I am cooking something and I don’t want it to be oily, then I reach for my non-stick pans. If you want a good sear or crust on something though, you really have to use high heat and that means no teflon. ButterYum – Thanks! Can you believe that I got that shot with a point and shoot? Every now and then the light in my kitchen is just right and my camera decides to capture a lot of detail ;) It’s pure luck tho! Those look gorgeous and delicious!!! Here’s a good link to a website explaining why food sticks in stainless steel & how to prevent it. I cook on non stick myself, but have always wondered the same thing. hopefully that answers some of your questions. Oh wow – that foodgawker shot is amazing! Bravo. these look delicious. what kind of pan is that? Most of my pans are nonstick but I was recently given a stainless steel pan (similar to yours, but not as shiny). I’ve never cooked with one before. I’m finding it really hard to use. Everything sticks, even when I’m using oil, butter, anything. I can’t fry anything in it, so I just use it for sauces and sauteing. Any tips?